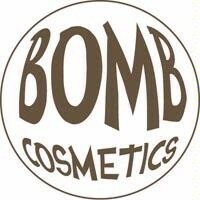 This Bomb Cosmetics Bath Creamer was one of the first types we launched and it still remains a firm favourite. A relaxing Lavender fragrance, coupled with real Lavender and Geranium essential oils ensures a peaceful and tranquil bathing experience. Hand rolled in real Lavender petals. Sodium Bicarbonate, Citric Acid, Theobroma Cacao (Cocoa) Seed Butter, Zea Mays (Corn) Starch, Sodium Lauryl Sulfate, Butyrospermum Parkii (Shea) Fruit Butter, Parfum (Fragrance), Lavandula Angustifolia (Lavender) Flower, Pelargonium Graveolens (Geranium) Flower Oil, Lavandula Angustifolia (Lavender) Flower Oil, Coumarin, Limonene, Linalool. This by far is one of my favourite creamers, as well as the rose creamer. Releases little buds of lavender which scent the bath even more, leaving you feeling so relaxed. The water is turned creamy and oily, leaving your skin looking and feeling amazing. The scent is so intense, it calms you down so well and you feel calm and collected. So indulgent, will leave you feeling relaxed.